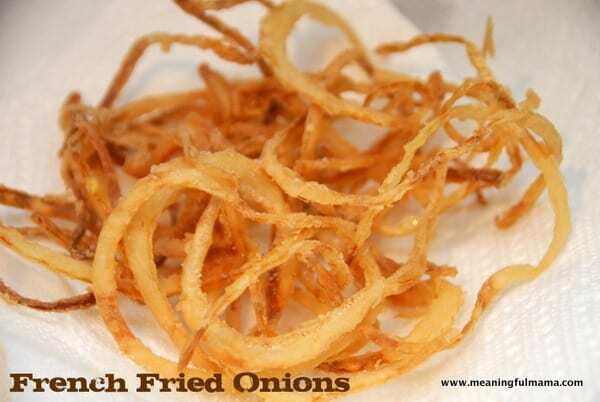 French fried onions are easy to make and add a fabulous crunch, flavor and texture to ordinary food. If you make these, you will have people over your shoulder eating them as soon as they are cooled off enough to do so. They are absolutely fabulous and perfect to put on a salad, burger, chili, casserole, soup or just eat them up plain. 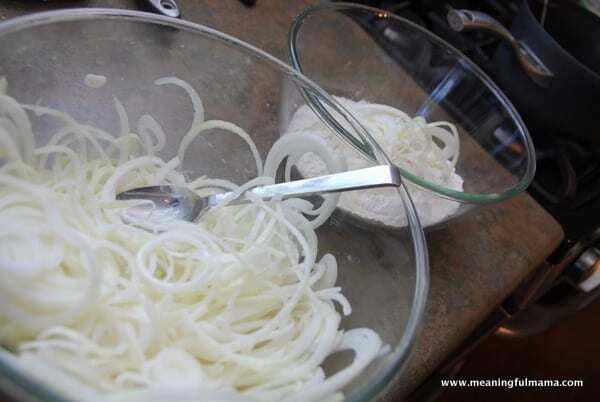 One of our favorite salads (found here) uses these tasty onions. Thinly slice onions. I use a mandelin. Soak the onions in the milk or buttermilk for 5 minutes. I did just a handful at a time. 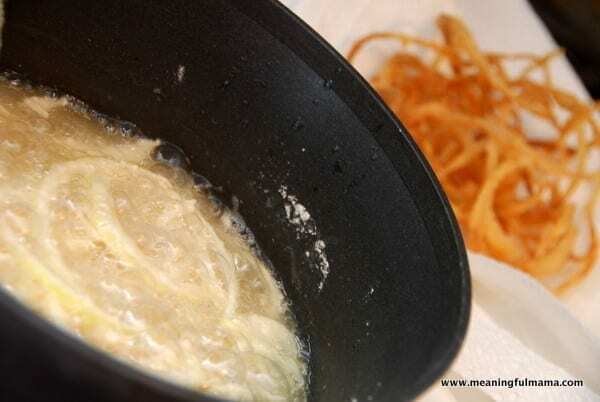 Take the soaked onion rings and run them through the flour, using a fork or fingers to help coat them. Fry in oil until golden brown, stirring with tongs occasionally to get even browning. Remove from oil. Set on paper towel and season to taste. 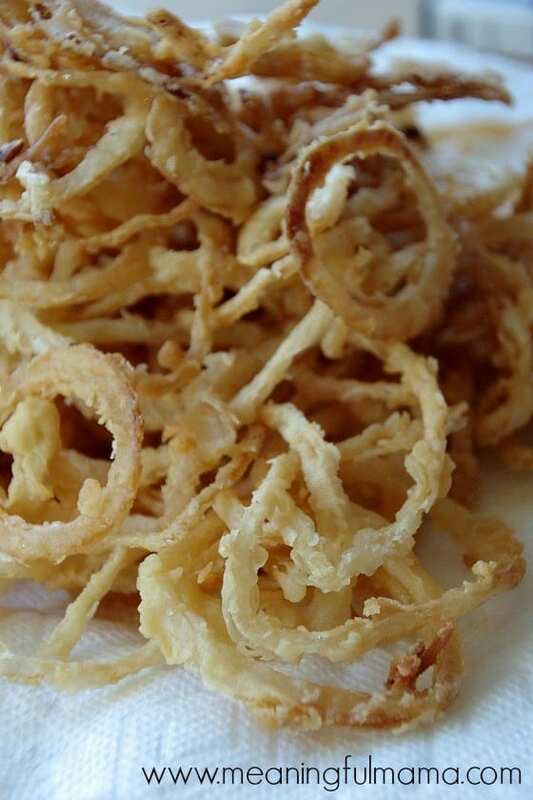 I hope you are inspired to making french fried onion at home rather than buying the bland store-bought kind. I’m pretty sure you’ll never go back. so funny! I just made these last week. We put them on a burger with bacon and cheese- yummy!